Aileen Suzara is an eco-educator, writer, and passionate natural chef. An alumna of UC Berkeley’s Master’s in Public Health Nutrition and CASFS agroecology apprenticeship, Aileen elevates the role of cultural foodways to prevent chronic disease and nurture ecological relationships. Her community collaborations include the Filipino/American Coalition for Environmental Solidarity (FACES), Sama Sama Cooperative, and Asian Farmers Alliance. 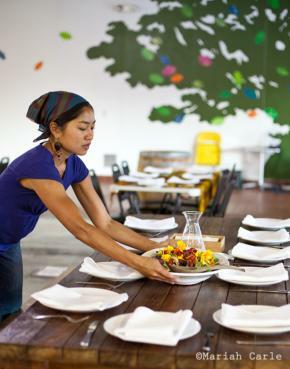 She founded Sariwa (Fresh) to reconnect land and people through delicious, vibrant food. Raised in the Mojave desert and on the rural Big Island, she now calls the Bay Area home.